A big man who is always hanging out with Yata. He may be big, but so is his honor. 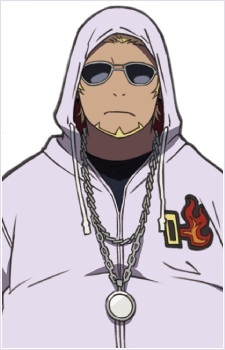 Rikio is a serious individual, though he does like playing games and engaging in fights. Nonetheless, he is quite friendly especially towards his fellow Homura members; upon Shouhei's inauguration, Rikio is one of the first few to immediately accept him into their leagues. He also appears to be a gluttonous fellow; during important objectives, he would instead go out and buy food to eat at the moment.